Experience the cheery southern hospitality of our Days Inn Dillon hotel. 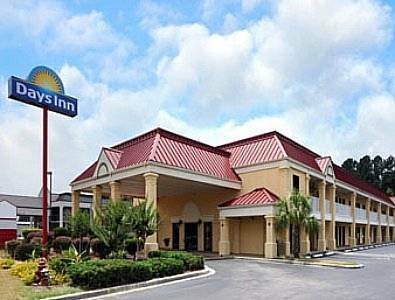 Our Dillon, SC, hotel near Interstate 95 offers a convenient location between Fayetteville, NC and Myrtle Beach. Join us bright and early for free Daybreak continental breakfast every morning. Take advantage of convenient amenities like free Wi-Fi Internet access, business center and sunny outdoor pool. We are convenient to Dillon Amtrak Station and near Wal-Mart. Some rooms feature flat-screen TVs. We offer Spanish channels, microwaves and refrigerators are in all rooms. Kids 17 and under stay free with an adult. Book your room online today. Head into historic Downtown Dillon to stroll through the quaint streets and visit the unique shops. Catch a movie at Plaza Cinemas, just two miles away, or spend an afternoon on the sunny greens of Dillon County Country Club or Twin Lakes Golf and Country Club.